Social media is an effective method for businesses to connect with their customers in real-time. It opens the door to creativity, and that’s important when brand building can often get caught up in dry business speak. This is especially the case with the visual social media platforms out there. By using visual elements — like photos and videos — to tell a story about your company, you can see an increased level of engagement from customers and prospects on a day-to-day basis. Basically, visual content cuts through a lot of the noise and social media users appreciate that. Practically any business type can benefit from visual social media because it shows a real interest in what the customers want: simple, visually-appealing content that’s immediately relatable. But those with WordPress sites have a particular advantage because there is the opportunity for social media integration on a fundamental level. So, retailers can show off photos of products while integrating text that prompts consumers to interact. Technology firms can post infographics that summarize data surrounding specific topics. Marketers can post presentations that allow them to share their knowledge and showcase their creativity. Restaurants are able to share photos of their food in order to appeal to the appetites of consumers. And so forth. These are just some of the business types that can benefit the most from visual social media. And while Facebook and Twitter contain posts that include images, text, and video, there are three social networks that dominate the visual realm. They are Instagram, Tumblr, and Pinterest. And luckily for you, there’s a whole host of plugins you can use to integrate these three social networks into your WordPress sites. 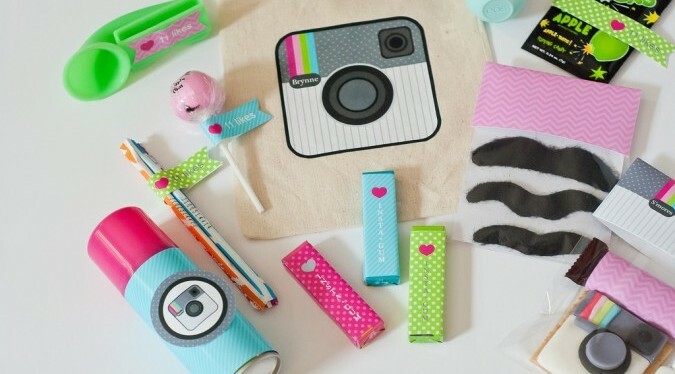 Instagram has grown in popularity since Facebook purchased the image sharing website. This has resulted in the addition of a number of Instagram plugins that WordPress website developers can use. These plugins act as highly functional portals that connect website visitors to the Instagram page and vice versa. The following are three Instagram plugins that can make that connection and allow you to make the most of yours or your client’s Instagram photos. Simply Instagram allows Instagram photos to be displayed on a website using a shortcode or a widget. There are options to display recent media, a self feed, popular photos, and likes. The Instagram galleries that the plugin produces have options for setting the slideshow theme, imadge width, the number of images to display, and more. The client profile can also be displayed with a “follow” button. This plugin is exactly as it sounds because it allows single images to be embedded into WordPress pages or posts. All you have to do is place the Instagram URL where you want the image to appear. That’s really all there is to it. Simple, straightforward Instagram photo integration that puts your images where you want them. The WP Instagram Digest plugin is different than the others we’ve talked about today in that it contains a gallery of the latest Instagram photos and creates daily posts. This is a great way to set up automated posting. It also works well as a way to backup the images that are posted on your Instagram account through WordPress. Tumblr has been around for a while and is a valuable player in social media. Many don’t realize it can be integrated into WordPress development rather easily. The following are some of the plugins that make this possible in a snap. Tumblr Crosspostr turns the WordPress site into a backend for the Tumblr account. Posts can be created in WordPress and automatically post to both Tumblr and WordPress. When changes are made to WordPress posts, they are reflected within the Tumblr posts. The plugin keeps the posts in sync by using Tumblr’s API. Simultaneous updating saves a lot of time. If a post is deleted in WordPress, the same post will be deleted from the Tumblr account. You can also schedule posts in WordPress so they will appear in both at the same time. WooTumblog turns your WordPress site into a Tumblr-like blog that uses custom post types. There are eight post formats (audio, image, video, aside, standard, link, and quote) for posts. Why would anyone want to make their WordPress site look like a Tumblr blog? WordPress offers all the same capabilities and functions of Tumblr, but offers flexibility that the latter just doesn’t provide. The Tumblr Widget allows Tumblr posts to be displayed in any of the widget-enabled areas of your WordPress website. Any audio, video, photo, quote, or link posts can be imported with many formatting options. The Pin It button shows up on an image when hovering over it with the mouse cursor. The image itself will fade out somewhat so that more attention is draw to the image. This tells the user that there is something worth noting. There are a number of settings with this plugin. For instance, you can choose where you want the button to show up and where you don’t want it to appear. You can also choose the information that will be sent with each pin. The Pinterest “Follow” Button plugin is a “follow badge” that contains a catchy graphic link to the associated Pinterest page. There are a number of pre-installed graphics that can be used or a custom graphic can be uploaded. The images can easily be placed on the site through a shortcode or a widget. This gallery widget puts images on the site in gallery style. The gallery is limited to a specific pinboard. Nonetheless, the plugin allows you to control the number of images that are displayed in the gallery. Three images wide tends to be the ideal maximum for this particular plugin. Even if there is enough space in the sidebar, it may not go to four images wide. This plugin will work with different themes and it does look nice when operational on most sites. Overall, visual social media can play a very important role in marketing efforts. Utilizing the different plugins available for Instagram, Tumblr, and Pinterest ensures your websites and social media accounts can effectively work together. This collaboration between the different parts of online real estate plays an important role in building a solid online presence that bleeds credibility and meets the consumer’s desire for information. And it’s important that information is delivered in a way that grabs customers’ attention. By ramping up the visual social presence on your WordPress sites, you allow for creativity, interaction, and engagement. Do you find the visually-oriented social sites to be effective marketing tools for your site or business? If so, how do you integrate that content? Nice post, I’m always in the lookout for social connection plugins.